Mr. Fleischer has chaired the firm’s securities practice and has been principally responsible for bringing over 30 public companies into compliance with the requirements of the Sarbanes Oxley legislation and the NYSE and NASDAQ (now FINRA). Mr. Fleischer drafted the firm’s prototype charters for the Audit, Nominating and Compensation Committees of the Board as well as the Code of Business Conduct and Ethics. He has worked closely with the boards of directors of numerous public companies in implementing the committee charters and ethics code and dealing with the SROs. He has been a facilitator at board retreats and planning sessions dealing with securities and corporate governance compliance issues. Mr. Fleischer has been the lead partner in hundreds of initial public offerings, second offerings and debt financings, raising billions of dollars for the firm’s clients. He continues to provide hands-on drafting experience in writing prospectuses while serving as a counselor to the company and the board of directors in identifying available alternatives to accomplish specific corporate goals. 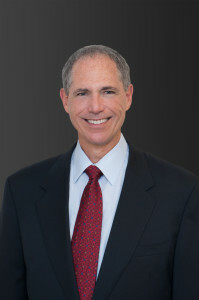 Mr. Fleischer has worked with numerous credit unions in dealing with the unique issues faced by this industry, including capital alternatives, charter choice, mergers and mutual institution corporate governance questions. He has been the lead partner on many of the firm’s merger and acquisition transactions involving over $25 billion in merger consideration. These transactions have included straight mergers, purchase and assumption transactions, common and preferred stock deals, earn-outs, warrant and other deferred consideration transactions and various combinations reflecting the creativity of both the legal and investment banking teams involved. The financial institutions industry has been the greatest focus of Mr. Fleischer’s career, but he has also worked with a variety of start-up tech and other companies as well as more established public companies outside the financial institutions area. In his 38 years of legal experience, 31 years with Silver, Freedman, Taff & Tiernan and its predecessor firm, Mr. Fleischer has been a frequent speaker on topics related to securities and banking law, mergers and acquisitions, corporate governance and accounting regulation and policy. He began his legal career as an assistant to the governor of Colorado, moved to a general corporate and tax practice in Ohio, spent two years with the Office of Thrift Supervision in Washington, D.C., then moved to a large firm in the DC area before coming to Silver, Freedman. His interests include most sports, particularly basketball (he has coached both men and women, from ages 5- 25. He was an assistant basketball coach at Duke University while in law school, responsible for coaching the freshmen, scouting and assisting with skills training for the varsity). He also is involved in as many on-track driving events as his schedule permits, including road circuits in open-wheeled and street legal cars and NASCAR tracks.